A number of provinces are facing some bitter cold temperatures, with Manitoba, parts of Saskatchewan, northern Ontario and Quebec all under extreme windchill warnings.According to Environment Canada, an Arctic ridge of high pressure from northwestern Alberta is responsible for the cold temperatures, with wind chills of –55 C expected in some areas of the country.In Manitoba, the entire province was under an extreme windchill warning on Monday, with extreme wind chills of –45 to –50 expected tonight and Tuesday. In Winnipeg, the overnight low on Monday night is expected to drop to –38 but the windchill will make it feel more like –50. It will be much the same situation overnight on Tuesday to Wednesday. Northern Saskatchewan was one of the coldest places on Earth Monday morning, with several communities recording –40 or lower temperatures.But this evening, parts of Saskatchewan including Melfort-Tisdale-Niipawin-Carrot River, Cree Lake, and Regina, will see wind chills of –40 to –45 before the winds taper off and become lighter.Bitterly cold Arctic air combined with moderate west winds have resulted in extreme which chills of –45 to –50 across much of northern Ontario, Environment Canada said. Some areas may experience wind chills of –55, with the extreme cold likely to last into Thursday.Meanwhile, southern Quebec is also being chilled. Places like Saguenay could see temperatures plummet to –27, and a wind chill of –38. Chibougamau could record a wind chill of –40 this evening. The frigid air combined with moderate winds will cause extreme wind chill values at least until Wednesday morning, Environment Canada said, adding that the cold air will remain over the province for much of the week. The third phase of Palestinian prisoner releases, agreed as a confidence-building measure to support ongoing peace talks, went ahead late Monday night and into Tuesday morning.The 26 prisoners were driven out of the West Bank’s Ofer Prison. First, three prisoners were taken by van to the Erez Crossing for release into the Gaza Strip, and five others, residents of East Jerusalem who were eligible for Israeli citizenship, were taken to an undisclosed location.Shortly after midnight, the remaining 18 convicts, were transferred from the prison to the Beitunia checkpoint, en route to celebrations in Ramallah.Jailed since before the Oslo Accords of 1993, all 26 men had blood on their hands. Click here for a list of the convicts and their offenses. In Jerusalem earlier Monday evening, dozens of people, many of whom had lost family members to terror attacks, protested the move, and a last-minute High Court petition to stop the releases was rejected. Israeli critics of the releases put the blame on Prime Minister Benjamin Netanyahu and the powerful settler lobby, with many charging that the government should have chosen to stop settlement construction instead of freeing convicted murderers to build confidence between the sides.Netanyahu for his part is expected to approve plans to build 1,400 new homes in the West Bank and East Jerusalem in the coming days. On Monday night, dozens of protesters armed with black umbrellas marched from the Prime Minister’s Residence to the Old City of Jerusalem, where 15 of them demonstrated outside the home of Ahmed Halaf, one of the 26 prisoners slated to be released.The organizers, representing victims of terror attacks and other opponents of the prisoner releases, had originally gone to court to be allowed to protest, but eventually came to a deal with police that only a limited amount of people would approach the home of Halaf.Earlier in the day, dozens of people protested at the entrance to Jerusalem, attempting to burn tires and block the main road into the city before being stopped by police.Two people were arrested just after midnight Sunday during a protest in front of the Prime Minister’s Residence against the releases.The protesters tried to run past the security guards at the entrance to Netanyahu’s home, banging on pots and yelling out slogans against the government’s decision to release the inmates.It was the mirror image in the West Bank through Monday, as the coming releases generated wide excitement in Palestinian society, where prisoners held by Israel are revered as heroes and freedom fighters. Families decorated their homes and neighborhoods with posters of their loved ones who were returning home and planned large feasts.The family of Ahmed Shihadeh was busy preparing a welcoming celebration in the Qalandiya refugee camp in the West Bank. Shihadeh, 51, has spent nearly 29 years in prison after being convicted in the murder of an alleged collaborator with Israel.His mother, Haseba, 75, said she has “spent my life” visiting her son, but hasn’t been able to make the trip for the past two years because she can no longer walk. “I’ve visited him in 14 jails. I would leave my kids screaming and go for a visit,” she said.In the East Jerusalem neighborhood of Jabal Mukaber, the sound of kettle drums and ululating women filled the air as residents braced for the return of Jamal Abu Jamal, who has spent nearly 20 years in prison for a stabbing attack.Women holding Abu Jamal’s picture sang and danced in circles and praised Palestinian President Mahmoud Abbas for securing his release. His mother, Rayouf, 77, who is unable to speak after suffering two strokes, sat in a chair with tears in her eyes.“Since she heard the news, she’s getting better,” said Abu Jamal’s sister Huda. “I can’t express how happy she is.”AP contributed to this report. US Secretary of State John Kerry “deceived” Israel during the discussions over the release of longtime Palestinian terrorist convicts, a senior Israeli official charged Monday, according to a TV report.The dramatic Channel 2 report — broadcast just a few hours before Israel’s release of a third group of 26 Palestinian prisoners, and shortly before Kerry is due back in the region with hopes to get Israel and the Palestinians to sign a “framework” peace deal — suggested a profound breakdown of trust between the secretary and Israel’s Prime Minister Benjamin Netanyahu. The Prime Minister’s Office late Monday issued a statement saying it was not accusing Kerry of deception.The TV report said that Netanyahu had sent a message to Kerry in the last few days making crystal clear that Israel will not free any Israeli Arab prisoners in the fourth and final phase of the prisoner releases, set for the coming months, and it suggested that Kerry had duplicitously allowed Palestinian Authority President Mahmoud Abbas to believe that Israeli Arab prisoners would be freed.According to the report, quoting an unnamed senior Israeli government source, Netanyahu had agreed with Kerry, when they were finalizing terms for a resumption of Israeli-Palestinian peace talks in the summer, that Israel would free 82 Palestinian prisoners in a series of phased releases, and that Israel would not include any Israeli Arab convicts among those to be freed. And yet when Abbas demanded, in his own separate meetings with Kerry, that 104 prisoners be released, and that Israeli Arab terrorist convicts be among those set free, “Kerry did not correct him,” the report said, presumably because he did not want to scupper the talks.Instead, having chosen not to resolve the discrepancy with Abbas, the secretary of state came back to Netanyahu, and apparently attempted to persuade the prime minister to change his position. According to the TV report, that was when the issue of a possible release of spy-for-Israel Jonathan Pollard entered the equation. Netanyahu reiterated to Kerry that he was not prepared to release Israeli Arab prisoners as any kind of a goodwill gesture to Abbas, but said he might consider doing so as a gesture to the United States, were Washington to free Pollard. The secretary then promised to look into the possibility. In the last few days, the report continued, Netanyahu had made clear to Kerry that Israel’s refusal to release Israeli Arab terror convicts is unchanged. The prime minister has also instructed the Shin Bet security service and the Israel Prison Service to draw up a list of 26 names for the fourth and final scheduled batch of prisoner releases, set to take place in the coming months, that does not include any Israeli Arabs.The report sensationally quoted the senior Israeli official charging that Kerry had “deceived” Israel over the episode, but did not specify precisely what the official meant by the charge. Apparently the accusation related to Kerry failing to tell Abbas that Israel would not free Israeli Arabs, and failing to reconcile the discrepancy over the overall numbers of prisoners to be released, and then trying to persuade Israel to change its position on the issue, including by referencing Pollard..Israel has historically been disinclined to give the Palestinian leadership any say in the fate of Israeli Arab citizens, regarding such citizens as being solely an Israeli responsibility. Among the 26 prisoners going free on Monday night were several East Jerusalem residents, who would theoretically be eligible for Israeli citizenship and who hold Israeli residency papers, but none of them is a full Israeli citizen.The complicated TV report, by Channel 2′s well-connected diplomatic correspondent Udi Segal, came in the wake of a series of contradictory reports at the weekend concerning purported American readiness to consider freeing Pollard — reports that were denied by the White House and played down by the US Ambassador to Israel, Dan Shapiro.“I suggest we don’t believe every media report,” Shapiro said Sunday morning. “There’s no direct link between Pollard and the [peace] negotiations or the prisoner release. These are different issues.”Israel’s Channel 10 News reported Friday night, citing unnamed Israeli sources, that Kerry had offered to arrange the release of Pollard if Israel freed Israeli Arab prisoners in the fourth and final phase of the prisoner releases. That TV report added, however, that Kerry clarified in his contacts with Israel’s leaders on the issue that Pollard’s release had not been approved by President Barack Obama, and the report further said Israel doubted that Kerry could actually secure Obama’s approval.In contrast to the TV report, Israel Radio reported Friday night that Kerry had merely promised to check into the possibility of freeing Pollard, as requested by Netanyahu.Pollard has served 28 years for spying for Israel. Israeli politicians of all stripes, led by Netanyahu, have recently called on the US to let the 59-year-old former US naval intelligence analyst go free. The issue has hit the headlines again particularly in light of recent revelations that the US spied on Israeli prime ministers and other senior officials in 2008 and 2009.After a lengthy debate at the Knesset last Wednesday, an overwhelming 106 of the 120 Knesset members signed off on an official request to Obama to free Pollard, who is a dual US-Israeli citizen. Last Monday, Netanyahu met with Esther Pollard, wife of the Israeli-American spy, and “updated her on the non-stop efforts to release Jonathan,” according to a statement by his office.Pollard was convicted in 1987 on charges of passing classified information to Israel while he worked as an intelligence analyst for the US Navy. He was given a life sentence for the crime, sparking decades of activism for his release by Jewish groups, and, more recently, some high-profile US and Israeli officials.Marissa Newman contributed to this report. Prime Minister Benjamin Netanyahu is prepared to continue peace talks for another year on the basis of US Secretary of State John Kerry’s “framework” agreement, which provides for negotiations for Palestinian statehood on the basis of the pre-1967 lines, according to Likud sources quoted by Israel’s Channel 10 news Monday night.Netanyahu is prepared to view the framework agreement, including the provisions for talks on the basis of the pre-1967 lines, as “a basis for negotiation,” the sources were quoted as saying. The report noted that Netanyahu’s ostensible assent is based on the assumption that neither he nor Palestinian Authority President Mahmoud Abbas will be required to actually sign the Kerry framework proposal. Netanyahu has hitherto refused to negotiate Palestinian statehood on the basis of the pre-1967 lines. There was no confirmation from the Prime Minister’s office of the Channel 10 report.Palestinian sources told the Saudi daily Al-Watan on Sunday that the Kerry plan offers Israeli and Palestinian negotiators a political trade-off: Israeli recognition of the 1967 lines as a basis for the future Palestinian state, in return for Palestinian recognition of Israel as the state of the Jewish people.Kerry is due back in the region later this week.Netanyahu refused in the summer to agree to talks on the basis of the pre-1967 lines, or to freeze all settlement building — two preconditions demanded by Abbas. He did accept a third demand — agreeing to free 104 Palestinian prisoners, most of them terrorists convicted of involvement in the murder of Israelis. Twenty-six such convicts were being freed Monday night, in the third of a four-phase program of releases. The prisoner releases were agreed as part of the terms for a nine-month period of peace talks which began in July and is set to end in April. Kerry, who had spoken optimistically about reaching a peace deal in that timeframe, is now hoping to secure the two sides’ agreement on the “framework” deal, in order to keep the talks alive. The framework agreement reportedly outlines the particulars of a permanent status accord to resolve core issues — Israeli security, the status of Jerusalem, the borders of a Palestinian state, and the issue of Palestinian refugees.Kerry’s visit will come amid a row over reported plans by Netanyahu to imminently authorize construction of 1,400 homes over the pre-1967 Green Line — 600 of them in Jerusalem, and 800 in West Bank settlements. Abbas has urged the US to block the plans.Ahead of the framework deal, Kerry has in recent weeks detailed security proposals for a peace accord — sparking more disagreements between the two sides.While allowing for an Israeli military presence in the border area between Jordan and the West Bank, the security proposals would require the dismantling of all Israel’s settlements in the Jordan Valley, an Army Radio report said last week.According to the report, the Kerry security proposals provide for a massively upgraded border fence along the border between the West Bank and Jordan, with the IDF maintaining sole responsibility for the border for the first 10 years of a peace agreement. After that, border authority would be shared in some as-yet unfinalized constellation between Israel and the PA.Netanyahu has insisted on retaining the IDF’s deployment at that border; Abbas has rejected it, while allowing for the possibility of an international force.The US, under the proposals, would provide an additional West Bank security “envelope,” which would utilize drones and other high-tech equipment to provide real-time intelligence on any terrorist threats and other unlawful border activity.The Americans’ thinking is that if they can get Netanyahu’s agreement to the security plan, he might prove to be more flexible on other core issues of a peace accord, such as border demarcation, Palestinian refugee claims and Jerusalem, the report said. After a meeting with Abbas last week, an Arab League official said the PA president would not agree to even one Israeli soldier on the Palestinian-Jordanian border. He also indicated that Abbas refuses to acquiesce to a completely demilitarized Palestinian state, or recognition of Israel as a Jewish state, both key Israeli demands. Abbas would consent to a three-year Israeli military withdrawal process from the territories, according to an agreed-upon timeline, the official said.The PA president is demanding control of “all East Jerusalem,” which would become the Palestinian capital, and would be open to one-for-one land swaps to adjust the Green Line, provided the territory to be swapped was of equivalent value, the official added. A day after a volley of rockets broke a tense calm on the border with Lebanon, Israel’s ambassador to the United Nations called on the organization to act in southern Lebanon and prevent further border incidents. In a missive sent to Secretary General Ban Ki-moon Monday, Ron Prosor said the Security Council should work to assure the rocket fire does not evolve into a wider conflict.“I urge the Security Council to address the escalation on the part of Lebanon before the situation further escalates,” he wrote. “Israel has shown maximum restraint, but will continue to exercise its right to self-defense, as appropriate, and take all necessary measures to protect its citizens.”On Sunday, four rockets were fired at Israel from southern Lebanon, with two landing in open areas near the town of Kiryat Shmona. The missiles landed in open areas and caused no damage, but shocked the country after several years of relative calm along the northern front. Bad news keep on coming from crippled Fukushima No. 1 nuclear power station. Apparently it continues to bring harm on the environment. Up to 225 tons of radioactive water likely leaked from two more storage tank areas, seeping into the surrounding soil, Tokyo Electric Power Compoany (TEPCO) reported on Christmas Eve. The two areas are located to the west of the No. 4 reactor building. Water levels have dropped inside walled areas in which storage tanks for radioactive water are located, indicating that up to 225 tons of tainted water may have seeped into the ground, TEPCO officials said.The utility said this appears to be the largest amount of radioactive rainwater escaping to date from the barriers around tanks holding contaminated water. Water samples collected Friday contained 20 becquerels of strontium-90 per liter in one of the two areas and 440 becquerels in the other, higher than Tepco’s provisional limit of less than 10 becquerels for water that can be released from storage tank areas.TEPCO plans to apply nonpermeable resin on the inside of the barriers to block future leaks.The news came after Tepco reported radioactive water leaks from two other tank areas over the weekend.The Fukushima plant suffered multiple meltdowns following a 9.0-magnitude earthquake and huge tsunami in March 2011. Hundreds of tanks were built around the six-reactor complex to store massive amounts of contaminated water coming from the three melted reactors, as well as underground water running into reactor and turbine basements. TEPCO has decided to decommission all the reactors at the facility, with the four already put in the decommissioning process. Jewish Home may not approve of the terrorist releases - or of other government decisions - but it will only leave the coalition in the event that Israel evicts Jewish residents of Judea and Samaria. 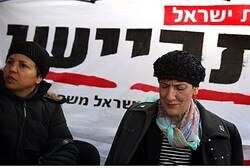 So said MK Shuli Muallem-Refaeli Monday, in a visit to the bereaved families protesting outside the Prime Minister's residence in Jerusalem. The bereaved families have staged a nearly week-long protest against the release, which is part of the negotiations between Israel and the Palestinian Authority (PA). Muallem-Refaeli, when asked why the Jewish Home party remains in the coalition despite its opposition to several government policies, explained that the party acts as the first line of defense against extreme-left policies. "The Iron Dome placed in Sderot last week is not the result of the release of terrorists and not of construction in Judea and Samaria; the Iron Dome is the result of the failures of the Disengagement," Muallem explained.The Disengagement in 2005, the result of left-wing policies, saw 1,404 Jewish families forcibly evicted from their homes - and turned the Gush Katif region into Hamas-controlled Gaza. "During these days, when a storm has descended upon the Jewish state, Jewish Home is the Iron Dome of the government - and that is why we will not leave" over the release of terrorists the MK elaborated. Jewish Home does have its own "red line," however: the evicting of more Israeli citizens from Judea and Samaria. Then, Muallem predicted, Jewish Home would leave the coalition government. The future of Judea and Samaria is frequently a hot topic in international negotiations, with the PA and other international bodies failing to recognize Israel's legitimate claims to sovereignty over the region. One such region - the Jordan Valley, which is crucial to Israel's security - might soon be fully annexed into Israel. On Sunday, the Ministerial Committee approved a bill proposing its annexation; if passed, it could be the first step toward full annexation of Judea and Samaria. The move is facing stiff opposition from left-wing coalition members, most notably from Justice Minister and Hatnua party leader Tzipi Livni. Palestinian inmates slated to be released Monday night were transferred to Ofer Prison between Jerusalem and Ramallah on Sunday. They were undergoing identification procedures, medical checks and examinations by the Red Cross Monday.The release marks the third phase of a four-stage series of releases agreed on when peace talks with the Palestinians were resumed in July.The Almagor terror victims’ organization filed for an injunction Monday with the Supreme Court against the release of prisoners who are residents of east Jerusalem. The organization also demanded the right to protest outside the home of one of the prisoners slated for release.Two people were arrested overnight Sunday-Monday during a protest in front of the Prime Minister’s Residence in Jerusalem against the upcoming release of the 26 Palestinian prisoners. On Sunday night, left-wing Meretz MK Nitzan Horowitz, a staunch supporter of peace talks with the Palestinians, said he surprised observers by coming out against the release during an interview with Channel 10′s Dan Margalit.“He asked me again and again if he had heard correctly, that I object to the release of terrorists now,” Horowitz wrote in a statement posted to his Facebook page. ”So I say it here again, in the clearest way possible: It is folly to release terrorists at such a stage of the negotiations, and certainly when [Prime Minister Benjamin] Netanyahu links the release to settlement construction. And what we do get at the end of the day? Wounds, bruises, a scourge. We are releasing murderers and also building in places where it is clear that we will not remain” under a permanent peace deal with the Palestinians. “Bibi [Netanyahu] suffers from a split personality,” Horowitz added, “or he is simply a serial liar. With one hand he releases terrorist murderers, and with the other hand he allows extremists in his party, like Miri Regev, to pass laws that sabotage the talks.” Regev on Sunday pushed a bill through the Ministerial Committee for Legislation that would see the annexation of the Jordan Valley.On Saturday night, a panel of Israeli cabinet ministers approved the list of 26 Palestinian prisoners to be released on Monday. All of the prisoners on the list (Hebrew PDF), save three, were convicted of murdering Israeli civilians, soldiers or Palestinians suspected of collaborating with Israel. In a press release Saturday night, the Prime Minister’s Office said all of the inmates had been convicted of offenses committed prior to the signing of the Oslo Accords in mid-1990s.Almost all of them were given life sentences, although a few would have been up for release in the next decade. They have all served between 19 and 28 years of their terms. Click here for a list of the convicts and their offenses.Times of Israel staff contributed to this report. Activists on Sunday night protested the developing agreement between Israel and the Palestinian Authority. A government bill presented to the Knesset on Sunday would grant the Chief Rabbinate’s kashrut inspection unit sweeping new powers to enforce the rabbinate’s rules for certification.The inspectors, who belong to the rabbinate’s Kashrut Fraud Prevention Unit, currently lack the ability to enter establishments that they inspect without the agreement of owners, or to take samples of food, necessary to determine that ostensibly kosher food does not contain nonkosher ingredients such as dairy product in meat dishes or animals that are not approved for consumption by Jewish dietary laws.Perhaps in expectation of criticism at the expansion of the much-critiqued rabbinate’s powers, Chief Rabbi David Lau insisted the new bill did not add new kashrut rules, but was merely intended to prevent fraud.“I believe that all Israelis, those for whom kashrut is important and those for whom it is less important, understand the importance of honesty for citizens who ask for kashrut but fall victim to fraud,” Lau told Israel National News.The bill is being advanced by Deputy Minister for Religious Affairs Eli Ben-Dahan, a former director of Israel’s rabbinical court system. It seeks to grant the inspectors powers similar to those possessed by the police, including the right to demand entry to an establishment under supervision, to take food samples, to demand identification papers from citizens, and to investigate restaurant owners suspected of fraud.The investigative powers granted by the bill also include the confiscation of property believed to have been involved in the fraud, and ordering suspects to appear before the inspectors for the purposes of the investigation.It also gives Kashrut Fraud Prevention Unit inspectors, for the first time in the unit’s 14-year existence, uniforms and identification badges.“Until today, inspectors have felt a lack of authority, and this has weakened them in their dealings with kashrut criminals, who have been able to escape without punishment,” said Ben Dahan. 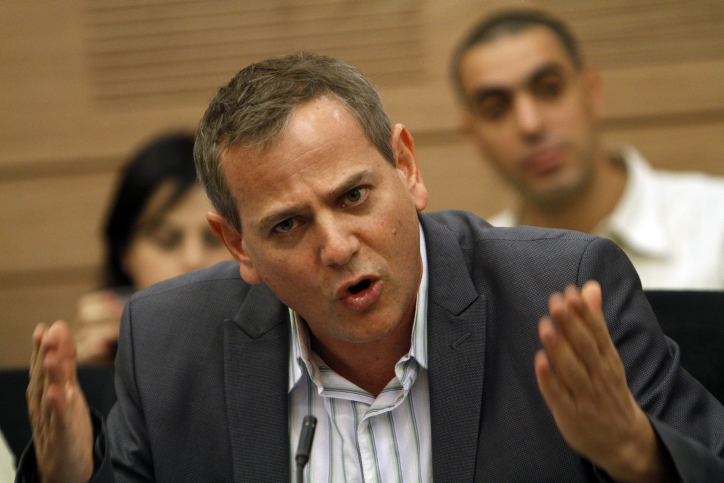 “This bill is meant to give inspectors the tools to fight effectively against kashrut fraud and kashrut criminals.”Ben Dahan has further plans for the Kashrut Fraud Prevention Unit, the deputy minister told Haaretz. Currently, the inspectors’ salaries are paid by the business owners being inspected. 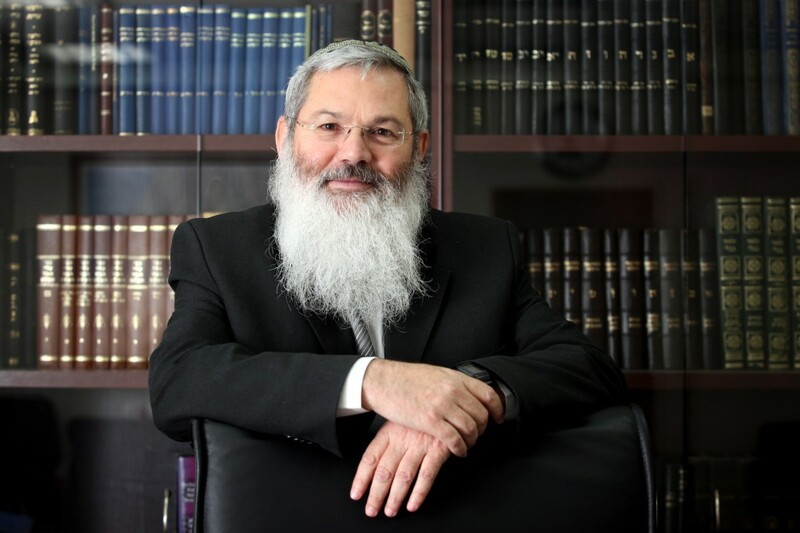 Ben Dahan hopes to legislate a separation between the inspectors and the businesses they were responsible for.The bill has already drawn criticism from opponents of the Chief Rabbinate.“There are few bodies that trample over the rule of law as systematically as the Chief Rabbinate, especially when it comes to kashrut,” charged Rabbi Uri Regev, head of Hiddush, a group that calls for the dismantling of the rabbinate’s monopoly on Israeli religious institutions. Regev cited the rabbinate’s refusal to grant kashrut certificates to businesses open on Shabbat, despite a High Court of Justice injunction on the matter.“Before the rabbinate demands additional enforcement powers, it must announce that it accepts the rule of Israeli law,” he said. About 725 customers are still without electricity in Toronto, but everyone's power should be fully restored today, Toronto Mayor Rob Ford said, more than a week after an ice storm hit Eastern Canada and knocked out electricity to about 300,000.Ford and Toronto Hydro officials gave what would be their final daily update on the power outages that came in the wake of a powerful ice storm two weekends ago. All power, with the exception of some unforeseen individual cases, is expected to be back Monday.“I want to thank the residents of the city for their patience during this terrible storm,” Ford said. “We have never had a storm like this in Toronto’s history and hopefully we will won’t have one like this again.“It’s truly remarkable, what people have done in this city to help each other … sacrificing and giving up family time over the holidays." Four warming centres remain open Monday as crews continue to work. An emotional Anthony Haines, CEO of Toronto Hydro, thanked all the crews who worked round the clock. "We were all tired, but we never stopped," Haines said.He also urged anyone still without power to call Toronto Hydro. Earlier Monday, emergency response officials said the influx of calls they began receiving after the storm has not stopped.More than a week after the ice storm, emergency calls remain at 10 times the normal volume. Officials in Toronto said they hope to have most customers back on the grid by Monday, while New Brunswick is aiming for Tuesday. "We’re still working to that plan to have most customers powered up by Tuesday; However, there are a couple of concerns [including] the upcoming storm," NB Power CEO Gaetan Thomas said.There is a snowfall warning in effect for most of southern New Brunswick including St. Stephen and Rothesay, two of the communities that were hardest hit after last weekend's storm.A winter storm will develop over the U.S. Eastern Seaboard Sunday afternoon and track northeastward passing over the Maritimes, Environment Canada warns. Premier David Alward is urging communities to “hunker down” as the storm is expected to bring up to 25 centimetres of snow across southern New Brunswick. Some freezing rain is expected in the province, but not enough to merit a warning, the weather agency said.NB Power spokesman Brent Staeban said the utility is preparing for the storm by moving additional crews, material and management to the affected areas in advance of the storm, and is co-ordinating with local communities and the Department of Transportation to make sure roads are cleared as soon as possible. "It’s simply going to slow us down and be an impediment, but we’re going to do everything we can to push through it and keep the effort going," he said.Staeben said if the storm's effects are "minimal," the vast majority of customers should have their power restored by 10 p.m. AT on New Year's Eve.Even without the storm, Staeben described the restoration efforts as an "exceedingly complex and slow slog" that has included crews looking for outages on snowmobile, and some fixes requiring the removal of 50 to 60 trees on a section of line.NB Power workers will get a hand from 40 crews arriving Sunday from northeastern United States, along with crews from Nova Scotia and Quebec already in the province. 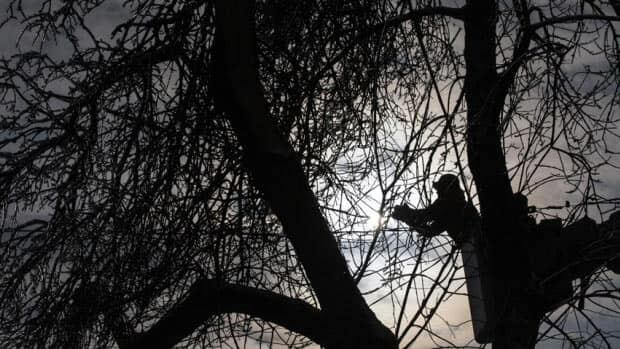 Many of the 3,000 homes still experiencing power outages on Sunday night are in neighbourhoods with rear-lot construction, where poles and power lines are located in backyards, according to Toronto Hydro. Crews can't use bucket trucks to reach the damage and must enter the yards on foot, carrying equipment and using ladders to climb poles and make repairs. "This is time-consuming and hazardous, especially at night, and is delaying restoration for these customers," reads a Toronto Hydro release.Toronto Hydro CEO Anthony Haines said Sunday morning that the finish line is within sight, while provincial utility Hydro One said the ice storm outages are essentially over outside the city, allowing their crews to lend a hand.Haines and Hydro One CEO Carmine Marcello both said even when power has fully returned it won't mean business as usual at the utility. Cleanup including tree-trimming will take months, Marcello said.Toronto Mayor Rob Ford said the outages have been costing Toronto Hydro roughly $1 million a day.Ford said he's called a special council meeting for Jan. 10 to request money from the Ontario Disaster Relief Assistance Program.Haines said the cost during outages is typically 50 per cent worker costs, 50 per cent equipment, though he noted there would be special costs associated with this storm such as hotel rooms for out-of-town crews. He said his preference is to find the $10 million in Toronto Hydro's budget, but if they can't their only source of revenue is customers. Ford told CBC News during an interview Saturday that he has not declared a state of emergency was not recommended by his team, including Haines, the city manager, the deputy city manager and the heads of city departments. "Everybody's agreed this is not a state of emergency," Ford said, adding that the entire city needed to be paralyzed for that to happen.But on Sunday, Deputy Mayor Norm Kelly told CBC News Network on Sunday that his advice to the mayor was to declare a state of emergency. Kelly said he felt it was important psychologically to let citizens know the city was taking it seriously. "I would respectfully question [Ford's] perspective" that nobody with the city was calling for a state of emergency, Kelly said. Kelly, who chairs the emergency committee, said he's been the city representative in touch with Ontario Premier Kathleen Wynne and that he's the one to hold accountable about the response to the ice storm. The first eruption of eastern El Salvador's Chaparrastique volcano in 37 years sent ash and gas soaring as much as six miles into the air on Sunday and led authorities to evacuate thousands of people from their homes. A bomb blast tore through a trolleybus in the Russian city of Volgograd on Monday morning, killing at least 10 people a day after a suicide bombing that killed at least 17 at the city's main railway station.The explosions put the city on edge and highlighted the terrorist threat that Russia is facing as it prepares to host the Winter Olympics in February. Volgograd is about 650 kilometres northeast of Sochi, where the Olympics are to be held.The National Anti-Terrorism Committee said the bus explosion came from a bomb that most likely had been placed in the vehicle's passenger area, but there were no further details. The Emergencies Ministry said at least 10 people were killed and news reports said anywhere from 15 to two dozen people were hospitalized.The explosion ripped away much of the bus's exterior and broke windows in nearby buildings.There was no immediate claim of responsibility for either explosion, which came several months after Chechen rebel leader Doku Umarov called for new attacks against civilian targets in Russia, including the Sochi Games. Suicide bombings have rocked Russia for years, but most have been in the North Caucasus region, the centre of an insurgency seeking an Islamist state in the region. But Volgograd, formerly known as Stalingrad, has been struck three times in two months — suggesting militants may be using the transportation hub as a renewed way of showing their reach outside their restive region.A suicide bus bombing in Volgograd in October killed six people. On Friday, three people were killed when an explosives-rigged car blew up in the city of Pyatigorsk, the centre of a federal administrative district created to oversee Kremlin efforts to stabilize the North Caucasus region.In the railroad station blast, the bomber detonated explosives in front of a metal detector just beyond the station's main entrance when a police sergeant became suspicious and rushed forward to check ID, officials said. The officer was killed by the blast, and several other policemen were wounded.Following Sunday's explosion, the Interior Ministry ordered police to beef up patrols at railway stations and other transport facilities across Russia.Russia in past years has seen a series of terror attacks on buses, trains and airplanes, some carried out by suicide bombers.Twin bombings on the Moscow subway in March 2010 by female suicide bombers killed 40 people and wounded more than 120. In January 2011, a male suicide bomber struck Moscow's Domodedovo Airport, killing 37 people and injuring more than 180. Umarov, who had claimed responsibility for the 2010 and 2011 bombings, ordered a halt to attacks on civilian targets during the mass street protests against Russian President Vladimir Putin in the winter of 2011-12. He reversed that order in July, urging his men to "do their utmost to derail" the Sochi Olympics which he described as "satanic dances on the bones of our ancestors." US Secretary of State John Kerry will offer Israeli and Palestinian negotiators a political trade-off: Israeli recognition of the 1967 lines as a basis for the future Palestinian state, in return for Palestinian recognition of Israel as the state of the Jewish people, Palestinian sources told the Saudi daily Al-Watan on Sunday. The European Union’s envoy to Israel warned that if peace talks with the Palestinians fail due to construction in West Bank settlements, Israel is likely to get the blame for it.In a weekend interview with the Hebrew-language Walla News website, Lars Faaborg-Andersen laid out potential consequences of the government’s expected announcement this week of further settlement construction.Faaborg-Andersen said he had made it clear to Israeli officials that such an announcement could seriously damage the US-brokered peace talks between Israel and the Palestinian Authority, and in such a case Israel could expect to take the rap. The envoy added that a similar sentiment had been relayed by the ambassadors of the major European powers. Last Wednesday, Israeli media reported that Netanyahu was planning to announce the government’s approval for construction of 1,400 new homes in Jewish communities in East Jerusalem (600) and the West Bank (800). Channel 10 said the prime minister was going ahead with the announcement despite the station’s assessment that the last such announcement, which coincided with the second phase of Palestinian prisoner releases, almost caused the collapse of peace talks. It said the US and EU had both urged him not to go ahead with the plan, to no avail.Despite a recent uptick in violence, with attacks on Israeli targets near Gaza and in the West Bank and the attempted bombing of an Israeli bs in Bat Yam last week, the cabinet decided last Wednesday it would proceed as planned with the release of the 26 Palestinian prisoners convicted of terrorism.In November, Netanyahu halted much larger plans for new settlement construction advocated by Housing and Construction Minister Uri Ariel (Jewish Home), saying the move to push forward tens of thousands of new units over the Green Line was a “meaningless step” that would create pointless tension with the international community.The release of Palestinian prisoners was intended as a confidence-building measure to boost peace talks with the Palestinian Authority which restarted in July after a break of several years. Israel agreed to release 104 prisoners, all convicted before the 1993 Oslo Accords, in four phases over the course of the nine-month negotiation process. Two Katyusha rockets fired from Lebanon landed west of the northern Galilee town of Kiryat Shmona at approximately 7 a.m. local time.No one was wounded and there was no damage reported from the attack. Security officials said a total of four rockets were launched from southern Lebanon, but two failed to make it across the border, landing inside Lebanon. The report was followed on Sunday morning by a Lebanese report of two rocket falls near Sarda, a village some 10 kilometers from Marj Ayoun near the border with Israel. Lebanese Army troops deployed to the area to investigate.The IDF said in a tweet on its Hebrew-language Twitter feed that it retaliated for the rocket attack with “massive artillery fire of dozens of shells targeting the source of the [rocket] fire.” Lebanese sources disagreed on the number and targets of the shells fired by the IDF, with Lebanon’s state news agency saying that over 20 shells hit the mountainous, rugged area around the southern Lebanese border area of Rashaya early Sunday. There were no reports of injuries on the Lebanese side.Meanwhile, Hezbollah’s official Al-Manar news outlet reported four artillery shells targets the southern Lebanese village of Shuba. Lebanese and UN security forces went on high alert following the exchange of fire.Residents in Kiryat Shmona reported a smoke cloud rising from one of the landing sites on Sunday morning.“I heard the falls from my house,” Kiryat Shmona Mayor Nissim Malka told Army Radio Sunday morning, describing the explosions as “loud booms.”“The army is investigating. We’re convening a meeting of the city council,” Malka said.IDF forces were sweeping the area to locate the fallen rockets.“This attack from Lebanese soil is an inexcusable, unacceptable blatant breach of Israel’s sovereignty,” IDF spokesman to the international press Lt. Col. Peter Lerner said on Twitter Sunday. “Launching rockets from Lebanon in to Israel jeopardizes thousands of civilian lives in the north, a reality no sovereign state would accept. The IDF maintains the right to self defense and will operate accordingly against the perpetrators,” he added.The Mevo’ot Hermon Regional Council, located east of Kiryat Shmona along the border, initially canceled its school bus routes and asked residents to stay home. But within half an hour after the rockets’ fall, local officials ordered a resumption of the school bus service.“Everything is fine. We’re resilient, and we trust the army to protect us,” said Mevo’ot Hermon Mayor Benny Ben Muvchar. While northern residents reported that no sirens had sounded ahead of the explosions, other reports claimed “Color Red” anti-rocket warning sirens had sounded in Kiryat Shmona and Safed Sunday morning. Unlike the southern border with Gaza, the anti-rocket systems on the northern border are not active on a permanent basis. The systems are activated by the IDF only when tensions rise along the border. The rocket falls were a surprise to the security services, Israeli media reported Sunday morning.The Katyusha is a WWII-era, Soviet-made 122-mm rocket favored by terror groups for its mobility.The attack follows a series of incidents in recent months along the border.Earlier this month, Master Sgt. Shlomi Cohen, 31, was shot and killed by a Lebanese Army soldier while driving along the border near the coastal town of Rosh Hanikra. The shooting happened near the spot where a bomb blew up an army jeep, injuring four soldiers, in August. Four Katyusha rockets were fired from Lebanon into Israel in late August.AP contributed to this report.